Dorothy Jean Smith, 94, of Swartz Creek formerly of Lapeer, died Saturday January 19, 2019. She was born June 13, 1924 in Flint to parents Ralph and Iva (Robinson) McGlashen. 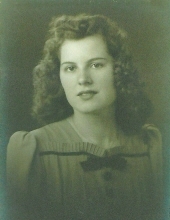 Dorothy graduated from Lapeer High School Class of 1942. She married Kenneth E. Smith on September 14, 1944 in Ohio. Mrs. Smith always enjoyed the time spent shopping; not always buying but the adventure. She also read a lot of healthcare books. Dorothy was considered an excellent grandmother. Mrs. Smith is survived by her children: Dallas Smith of Fenton; Diane (Will) Davison of Traverse City; David (Marla) Smith of Bellevue, grandchildren: Greg; Jeff; Cammie; Brandie; Neil; Leslie; Lauri, many great-grandchildren and one great-great-grandson. She was preceded in death by husband: Kenneth, siblings: Jesse “JP” McGlashen; Doris Hodges; Doyle McGlashen, grandson: Donald as well as her parents. Dorothy‘s visitation will be 12:30 PM – 2:00 PM Thursday January 24, 2019, immediately followed by her 2:00 PM funeral service all at Muir Brothers Funeral Home, Lapeer. Her burial will follow in Greenwood Cemetery, North Branch. "Email Address" would like to share the life celebration of Dorothy Jean Smith. Click on the "link" to go to share a favorite memory or leave a condolence message for the family.